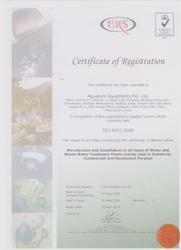 Since our inception in year 1998, we, “Aguapuro Equipments Pvt. 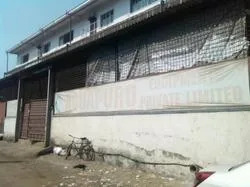 Ltd” are one of the eminent firms engaged in manufacturing, exporting and supplying a wide assortment of Water Treatment Plants & Allied Equipments. Based in Mumbai (Maharashtra), India, ours is a proprietorship firm. Our products are known for robust construction, longer service life, high functionality, heavy duty design and low maintenance. These products finds there application in various industries, residential and commercial segments. Further these products are fabricated using high quality raw material, advent machinery and advance technology. 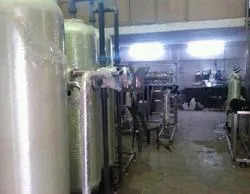 Our organization is mainly into the business of mineral water / bottled water / packaged drinking water projects/ swimming pools/ process water RO plant for various applications and pharmaceutical water systems and many more. Our offered range of products can also be customized as per their specifications of our clients. 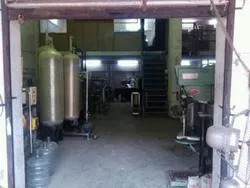 Our product range includes Sewage Treatment Plant, Submerged Aerated Fixed Film Reactor, Membrane Bio Reactor, Moving Bed Bio Reactor, Packaged Sewage Treatment Plant, Packaged Sewage Treatment Plant, Grey Water Treatment Plant, Effluent Treatment Plants, UV Sterilizers, Ozonation System, Industrial RO System and many more. We are blessed with well equipped and sophisticated infrastructure spread in a sprawling area. Our high tech machines and latest technology enable us to tackle us with pour client’s problems with an ease. Further, we have appointed a team of adroit and diligent professionals who are well qualified, skilled and experienced in there own fields. These professionals test each and every product on various parameters to ensure quality range of products. Moreover, we ensure our products are delivered in stipulated time frame, so that no inconvenience caused to our clients at later stages. Under the visionary guidance and supervision of our mentor 'Mr. Jitendra Rane’ we have been able to gain a formidable position in the market. His in depth knowledge and skills made us win trusts of many of our clients. We are leading firms indulged in offering our clients a wide range of water treatment plants. Our range of equipments is known for their high efficiency and durability. These products are fabricated using qualitative raw material, which ensure unmatched quality equipment serving various industries. The raw materials are procured from the trusted, quality conscious approach suppliers. Our organization is committed to manufacture and deliver a qualitative range of water treatment plants. 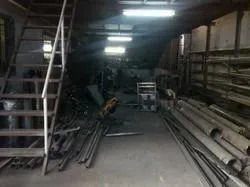 As, we are having a client centric approach we never compromise with quality and follow quality measures at each and every level of production, from the procurement of the raw material to the final delivery of the product. We fabricate and adapt set quality parameters as per the international standards to ensure the strength & durability of our range of water treatment plants. Backed with advanced and well equipped laboratory, assisted by a team of quality controllers & checkers, defines quality at every step & at every stage. Our team of experts and professionals is the backbone of our organization, which are mentally driven towards achieving the combined goal. Being a customer oriented company, our team is fully dedicated & motivated towards their nature of job. Further, our professionals work in close coordination among themselves as well as with our customers to satisfy our esteemed clients need. Their efficient working in related department ensures flawless production of our range of water treatment plants.